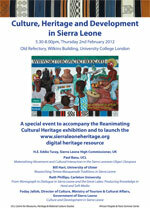 Download a poster for the January/February 2012 event and exhibition in the Reanimating Cultural Heritage project. 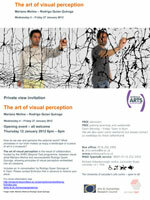 Download a poster for the January 2012 exhibition in the Visual Perception in Arts and Neuroscience project. 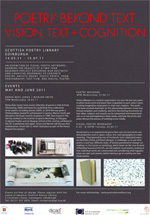 Download a flyer listing events in the Poetry Beyond Text project from May to July 2011. The Beyond Text Award Holders Event was held on Monday 10th May at the Mermaid Conference Centre in London. 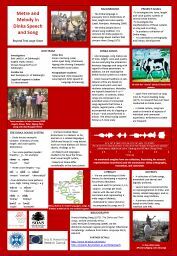 Several of the projects presented posters which are presented below. 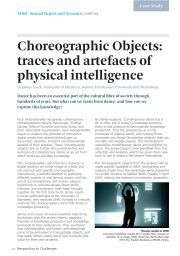 You can preview each poster on screen and download it as a PDF.